Women in Vietnam are expected to balance, on one hand, traditional standards of beauty and etiquette, and on the other, a strong work ethic and sacrifice. If a basic tenet of communism is equality, including based on gender, then from some points of view the Socialist Republic of Vietnam would seem to be faring well on its founding ideology. 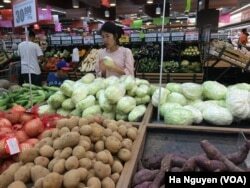 Vietnamese women do five hours of unpaid work daily, from grocery shopping to childcare, in addition to their official jobs. ​The rate of men who have indefinite term work contracts with foreign invested companies is 73.9%, compared with 67.7% for women, according to Adecco Vietnam. It also said that in job interviews, employers tend to ask female candidates not about their work experience or their professional goals, but about their marriage and family plans, as it would cost money for them to hire someone who eventually gets pregnant and goes on leave. “This aims to unearth and support innovative solutions to ensure rural women and girls can fully participate and prosper in the workforce and the economy,” Vice Minister Bui The Duy at the Ministry of Science and Technology of Vietnam said at the event launching the competition.